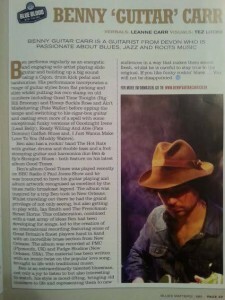 Incredible artist Dave Crocker from Plymouth Devon has made a superb portrait of Benny Guitar Carr! 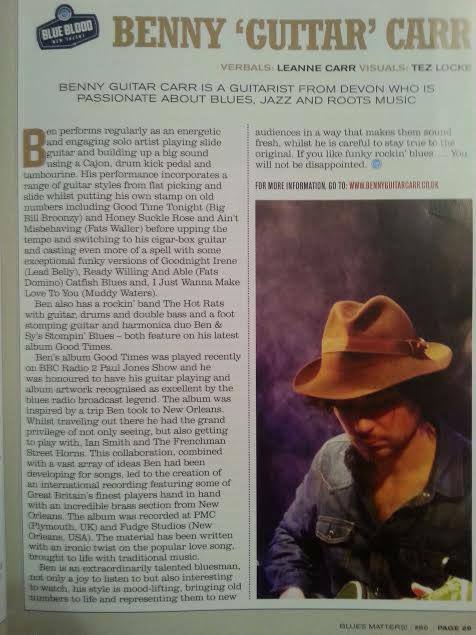 Benny Guitar Carr featured in Blues Matters Magazine Oct 2015! Fantastic write up in Blue Blood and brilliant album review.